Wool Coats in the South..Really??? 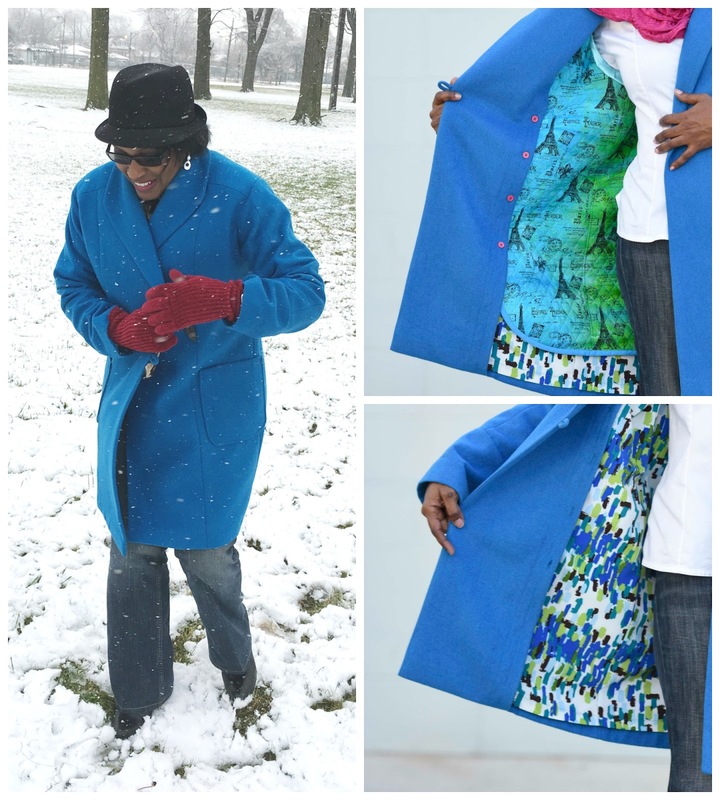 Okay, I have been waiting to post this coat make for some time now, but I just couldn’t get any cold weather!!! I started sewing and preparing it back in October 2015…and finished it at the end of November 2015. We just don’t get the weather everyone else gets to justify a heavy coat like this. How do the models do the swimsuit shoots in the cold and snow….? I guess the same way southerners do the photoshoots for cold weather attire in the desert heat!!! Hot and sweaty!!! Everybody would think that since I have been sewing for such a long time, that I am well versed in the art of coat-making. Besides, it’s just a “jacket” with extra stuff inside, right? Well that isn’t true…at least not for me. 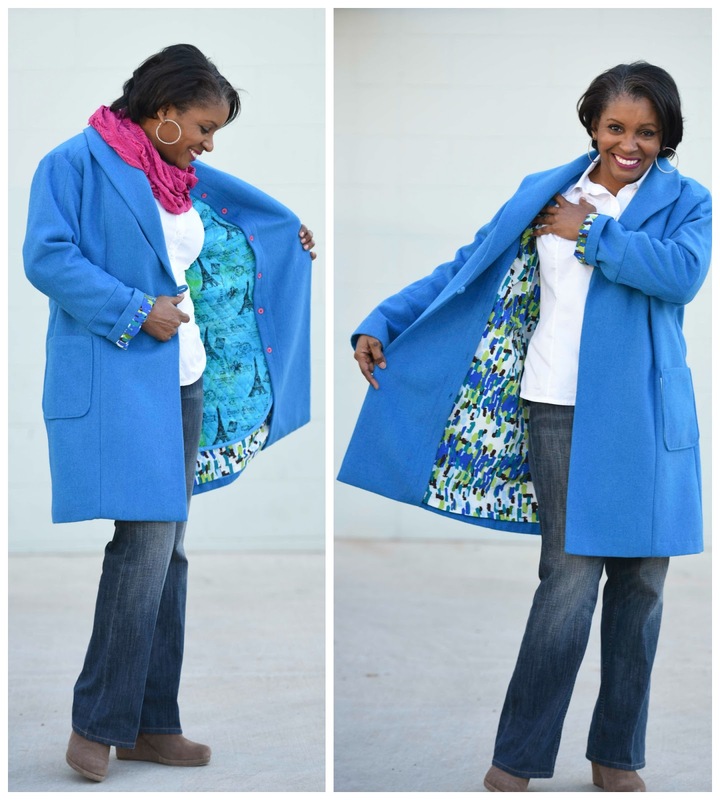 I put a lot of work into this coat…knowing that I wouldn’t be able to get much wear from it here at home. 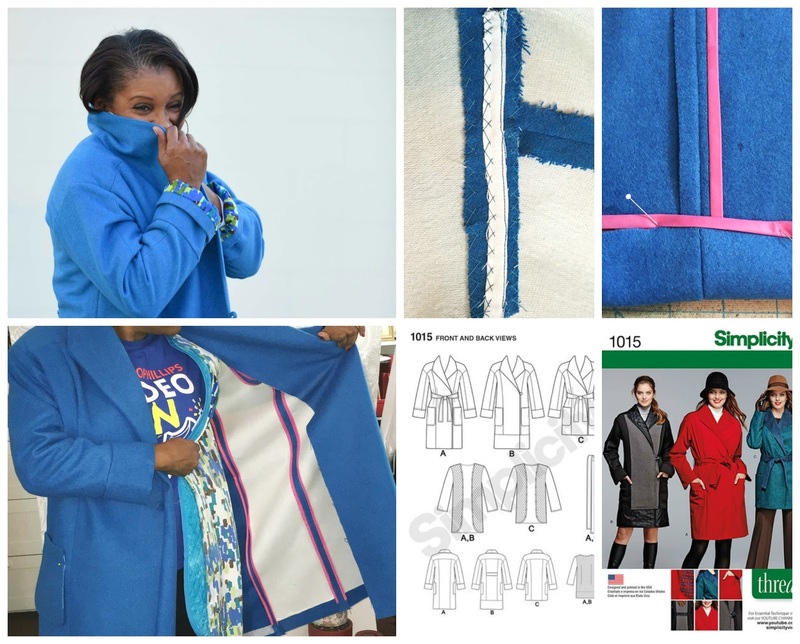 I just wanted the full experience of making a coat. Aside from that I just didn’t want to spend money buying one. 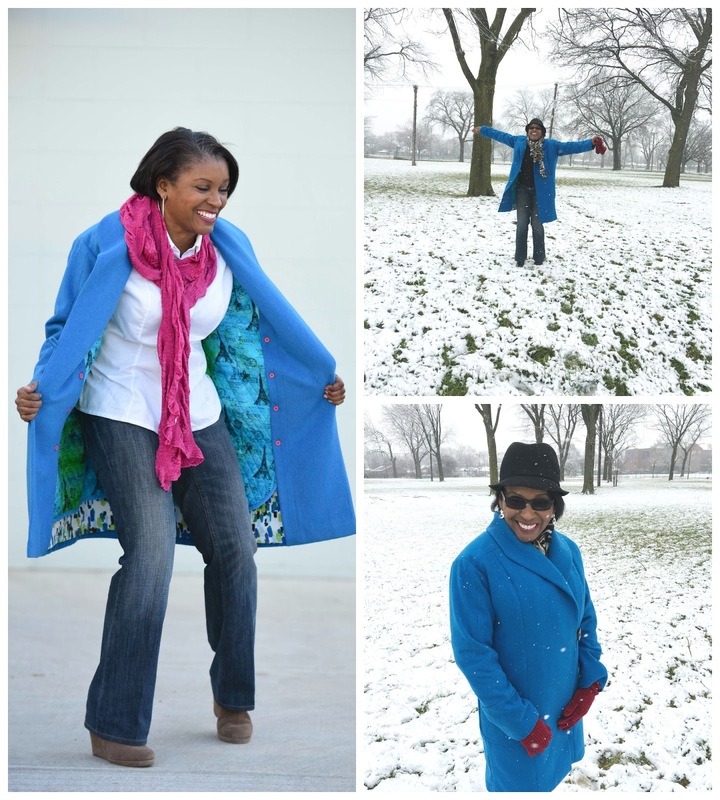 I wanted to feel the satisfaction so many of my sewing community enthusiast feel when wearing a coat they have made themselves. I got that feeling of satisfaction, it was like building a house or wearing a work of art!!! 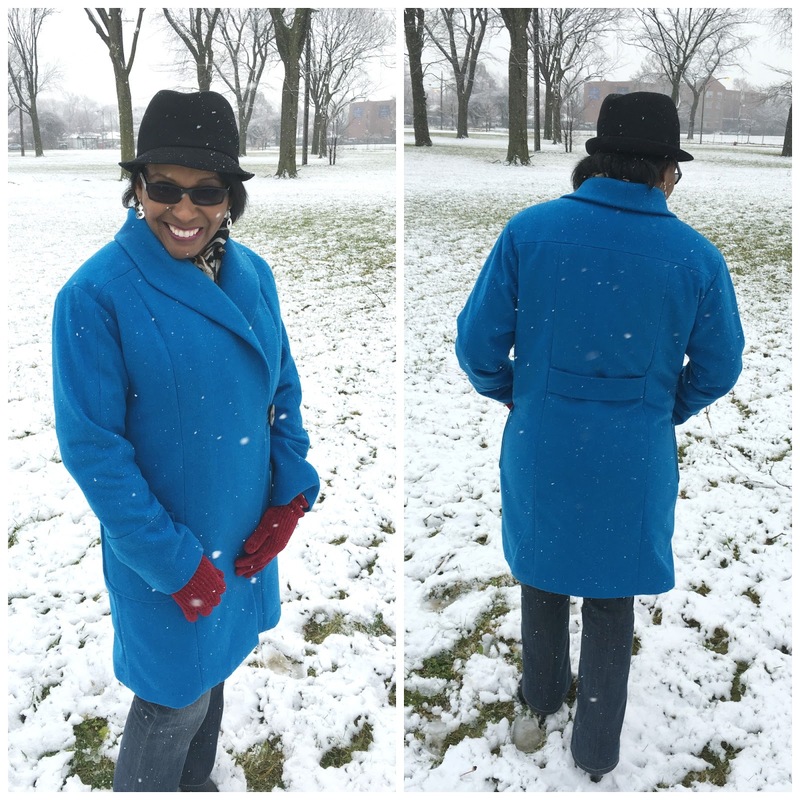 However, I have only been able to wear this coat one time…..yes!!! ONE Time wear– and that was out of town. I have yet to wear it again. Aaagh!!! Oh, about the trip that encouraged this make…Chi-Town!!! The Windy City and snow to make this southerner feel at home and cozy warm all at the same time. That was such a great deal. I didn’t feel out of place, in my synthetics, as with my first winter snow trip to “Chi-Town” back in the 80s. Oh my goodness, I froze my toes off on Lake Michigan! I ended up wearing my cousins coats, clothes, and boats. (Oh yeah, socks too.) I had no idea back then, but now I’m just a tad older and wiser. So this time, I really put in the required homework to have a warm over-coat for the “real” cold that is only known by my northern neighbors. SNOW!!! Yes, I got to play in the snow. The lining, a pre-quilted cotton with flannel backed satin sleeves, was put to the test, on this visit, and it did quite well. I was warm and cozy the entire time. What a fantastic feeling inside and out, knowing I wouldn’t need to borrow anyone else’s cold-weather gear. 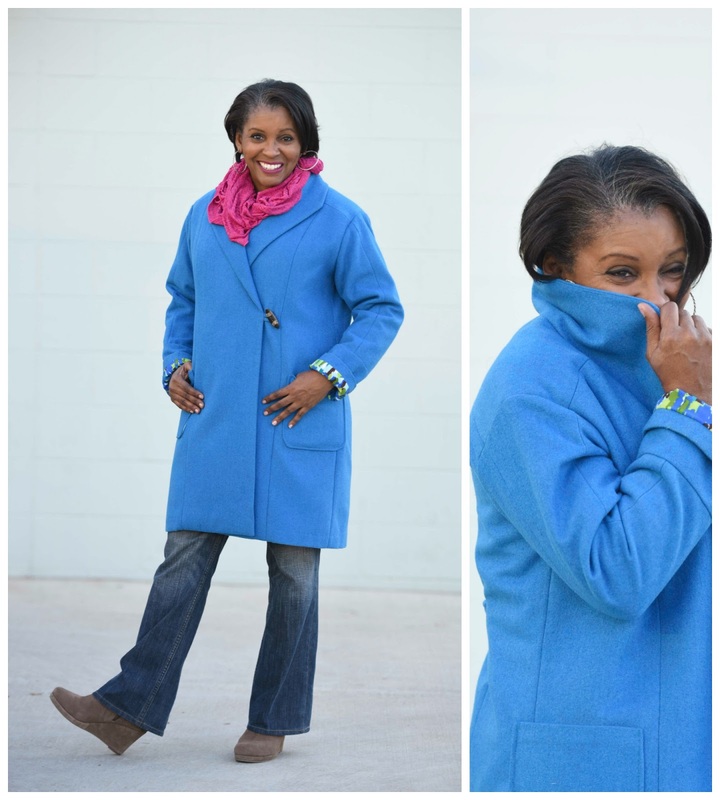 I even put in the extra time and consideration for a button-out lining for wearing it in less than freezing temps. No go…not with this weight of wool (a melton) it is just too heavy for South Texas. Just so you know…I had a fantastic time traipsing around in the snow. I felt like a fabricholic in the garment district on christmas with no budget limitations. Has it been wasted, over $150 worth of materials and notions. Would “fast-fashion” have been a better purchase, and the rest of my money and time be spent on more weather appropriate makes?